Microwave caramels on high until softened, 10-15 seconds. 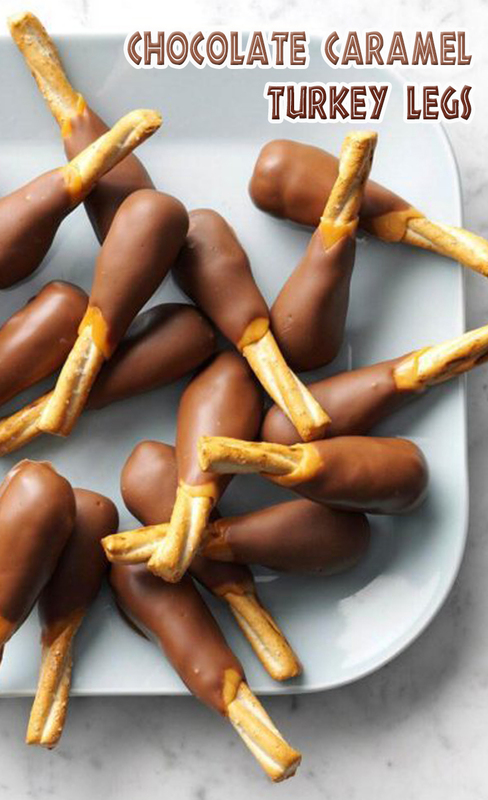 Mold two softened caramels around the lower half of each braided pretzel to resemble a turkey leg. Dip in melted chocolate; allow excess to drip off. Place on waxed paper; let stand until set. Store in an airtight container 1-2 weeks.